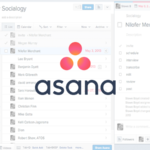 Asana is one of the top project management solutions available on the market. It is generally liked for featuring a good combination of task management and collaboration tools. However, is it really the best solution for your needs? 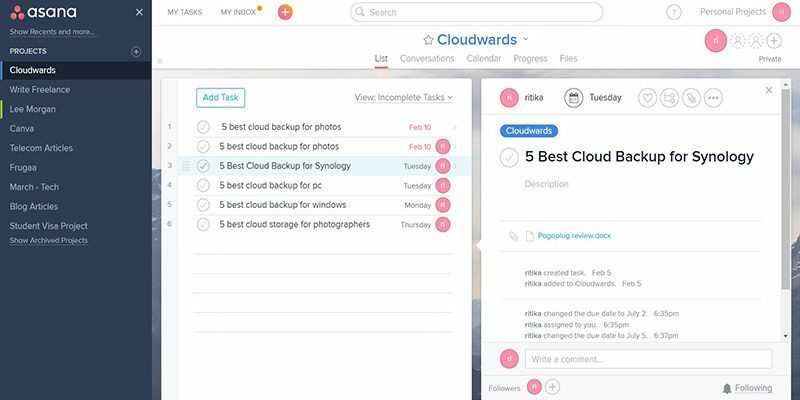 To help you find this out, we present these Asana alternatives that may offer you a better option for task management, collaboration platform and communication tools. Before we present the other top project management solutions, let’s take a look at what exactly Asana brings to the table. In general, managers like Asana because they can monitor simultaneous projects and easily drill down to task details. Team leaders, on the other hand, can delegate subtasks and create their project sections and multiple workspaces. And team members enjoy the flexibility to manage their own workspace, prioritize tasks, upload files and even delegate duties. With Asana you can create projects and tasks and add team members to select activities. You also control who sees what across projects and tasks to protect sensitive data. Likewise, the solution allows you to share files and collaborate through emails, comments and notifications. In fact, using Asana, you can let go of email or third-party communication tools. Information exchange can all happen in one place: inside Asana. This makes sharing, tracking, collaborating and organizing tasks much simpler and efficient. Communication is just as easy as on social media. Users are notified in their inbox of any change or update on any task. You can comment, follow, like or draw the attention of a user through @mention. A manager can jump from project to project and easily join and keep track of discussions without losing sight of the overall picture. The activity feed gives a quick overview of recent actions by project leaders and members. Lastly, tracking progress from any device and browser is also possible in Asana. Overall, Asana is easily one of the top project management solutions around that business of any size can use (even freelancers). But is it really the best for you? To find out, we compared Asana with other top contenders in its niche. If you are not impressed with what Asana has to offer, there is no need to go away. Here are 10 good Asana alternatives that offer quality features of their own. Browse their reviews and you may just find what you need for your business. Wrike is an award-winning project management solution that matches the needs of projects of any size. From freelance work to complex project, Wrike’s robust and versatile features help teams collaborate better and communicate with greater transparency, while managers gain more visibility throughout the stages and accomplishments. Freelancers can use the free Wrike app that offers robust tools like task management, file sharing and real-time activity at no cost. If you’d like to try out the solution on your own you can easily sign up for Wrike free trial here. Specifically, Wrike has plenty of best-in-class collaboration, communication and document management tools, as well as comprehensive set of features and intuitive interface, making it one of the preferred solutions when managing projects or tasks. One of its notable features is its 3-pane project view, which immediately gives you clear visibility across project details. The left pane shows the hierarchy of tasks and subtasks, while the middle pane displays the task list. On the far right are the task details. Whether you’re after a bird’s eye view of projects or want to dig down to details, this 3-pane view is useful. Another key Wrike feature worth mentioning is the activity stream, which keeps you in the loop of all activities, actions and discussion across projects. You get real-time notifications as soon as a team member finishes a task or someone start a new activity. On the other hand, using @mention helps you draw the attention of a particular member without leaving the activity stream. Likewise, Wrike features enterprise auditing. You can monitor group and individual activities with a few clicks. This helps ensure everyone is on track or that no untoward incidents are happening during the course of the project. Wrike’s auditing tools strengthen team accountability and manage life cycle changes better. Wrike has more sophisticated tools compared to Asana. As you go to the higher plans, the difference becomes starker. There are key features that are missing in Asana. These include high-level tools in Wrike like reporting and statistics, resource management and workflow management. Agile managers need these tools to adjust immediately to current events or match their processes to a tee. Wrike also features project budgeting and planning tools, two differentiating factors if you have more complex projects. That’s why even though both solutions target small to large companies, we feel Wrike can deliver more goods if you’re a large enterprise with more complex project needs. On the other hand, in terms of ease of use, Asana has a more appealing visual interface, while Wrike seems more function-centric with its three-pane view. This gives an impression that Wrike is geared more for technical users, but in reality, its second most number of users are marketers. If you want a wider choice, take a look at these quality Wrike alternatives. Clarizen is more complex than Asana. That’s because it’s an enterprise project management software designed for large companies. It features clear task-subtask structure that can handle complex projects. Tasks, projects and conversations are linked, making it easy for managers to navigate across sub-projects or team leaders to see where their activities belong and impact on. As projects become complex, they’ll need more sophisticated tools like budget forecasting, resource management, portfolio management and end-to-end dashboards and reporting. These are all hallmarks of Clarizen. The software also features advanced project planning capable of various PM methodologies, incorporating due dates, deliverables, dependencies and milestones across processes. Other Clarizen advanced features that are not available in Asana include: risk management, budget tracking and billable/non-billable work items. For complex projects, Clarizen has the tools over Asana. If you want a wider choice, take a look at these quality Clarizen alternatives. JIRA is geared towards more on technical users, especially developers. This is highlighted by the fact that it provides technical tools like an open API, development tracking and disaster recovery attuned to IT projects. Likewise, JIRA provides service desk functions like issue management and tracking. It also features high-level functions including planning tools and reporting and statistics. If you’re pursuing software projects JIRA is the better solution versus Asana. For other project types, Asana in general is more user-friendly, adaptive to user types from freelancers to large companies and, the best part, has a free app unlike JIRA. Asana also integrates with JIRA, so crossing over from Asana to JIRA is easier than the other way around. If you want a wider choice, take a look at these quality JIRA alternatives. Trello is renowned for its boards, cards and lists following the kanban management style. It’s a highly visual task management. You can segregate projects by boards, group tasks by cards and individual tasks by lists. Moreover, you can attach links to cards, comment inside it, and create checklists to monitor progress. You can also upload images in cards, making Trello a kind of Pinterest for creating inspirational boards. Although Trello appeals to users for its visual and simple style, it’s clearly not designed to handle full-scale projects. You can try but you’ll end up with too many cards scattered across too many boards. Boards and cards simply occupy the entire space of your monitor and details can be buried somewhere in one of those cards. As your project grows in complexity, you’ll need an Asana-type of solution that offers quick view with drill-down quick access to details. That’s why Trello is best described as an excellent task management solution, not a project management software. If you want a wider choice, take a look at these quality Trello alternatives. Taskworld is ideal for decentralized teams for both small and large projects. It uses burnup and burndown charts and project analytics to turn creative ideas and suggestions into concrete, trackable tasks. It also features a comparable collaboration interface where teams can exchange ideas and make decisions on the spot. Taskworld also allows for file sharing, chat, advanced overview and search filters. Taskworld has a slightly more visually appealing interface aided by its drag-and-drop functionality, well-designed templates and user-friendly text editor. Projects and tasks can be filtered by status, date and assignee and displayed on an interactive calendar. Its use of burnup and burndown charts gives more flexibility on how you track project towards completion. Like Asana you can configure workflows to match your processes. But like Producteev, Taskworld falls short of features outside task management and having a visual user interface. It cannot match Asana’s free app, open API and advanced tools like activity logging and tracking and assignment management. If you want a wider choice, take a look at these quality Taskworld alternatives. Podio is ideal for small and medium companies focused on enhancing teamwork in projects. The software has strong collaboration platform featuring a social stream activity of shares, likes, comments and status updates. Any new user will find Podio a familiar social network channel, making the software ideal for teams with external members or temporary employees. Podio is focused on collaboration, which makes it technically a collaboration software more than a project management platform. It features mobile and real-time collaboration and integrates with users’ social channels for a more seamless, albeit personal, way of teamwork. The software also features basic CRM and sales ticketing, as well as content sharing and video chat. However, as a project management tool, it lacks Asana’s key features like assignment management, activity dashboard, completion tracking and goal setting. Perhaps for simple projects, Podio can be a competitive option against Asana. If you want a wider choice, take a look at these quality Podio alternatives. Quire is a free-to-use task management application for creative teams. You can use it to plan your big ideas, break them down into smaller manageable steps, and tackle each one with your team members. In this way you can simplify the management of time-consuming and complex projects and prioritize important tasks. Quire’s developers have paid sincere attention to form and have created a well organized and easy-to-navigate interface. The vendor offers a great free trial plan that lets you try out all the key features first. You can easily sign up for Quire free trial here. Quire offers suitable features for basic task management and is ideal for small businesses and startups with simple needs. It shares with Asana features such as real-time collaboration, all-in-one workspace, and iPhone compatibility. However, Asana goes a step beyond Quire as it offers premium packages for the greater needs of large enterprises. These plans provide advanced features such as unlimited guests, unlimited dashboards, and Customer Success Program and Manager. For more options, take a look at these Quire alternatives. Dapulse provides smart communication and collaboration tools, two key features for effective and efficient project management. The solution is best for streamlining discussions and keeping everyone, managers, leaders and members alike, in the know. Its collaboration interface has the simplicity and clutter-free feel of social networks, even using the same user-profile style. Zoho Projects is a good team collaboration platform built over native integration with dozens of other Zoho business apps. This makes the project management software a top choice. It is also useful to divide major tasks into smaller tasks and arrange them in a hierarchical structure of dependencies. This makes it easy to see a complete picture of projects and spot possible bottlenecks down the hierarchy. Like Asana, Zoho Projects offers a free app featuring issue tracker for one project and up to 10 MB storage only. In terms of native ecosystem, Zoho Projects has a clear advantage. The vendor has dozens of business apps, on top of its integration with third-party solutions. Project management doesn’t exist alone; when it requires to work with another software, Zoho Projects can give you more flexibility. It isn’t to say Asana is less agile, the software has good integration with essential solutions like Dropbox, Google Drive, Slack, Zendesk, JIRA, GitHub and Zapier. But when it comes to native integration, the Zoho infrastructure is one of the best across the SaaS industry. If you want a wider choice, take a look at these quality Zoho Projects alternatives. Advaiya AdValue is a project management application created to facilitate the speedy deployment of Microsoft Project Online as well as to simplify and broaden its adoption. This particular platform allows project managers, resource managers, and other members of the team to fully utilize standardized processes, create visualizations of their project, and analyze and comprehend project data so they can come to intelligent, guided decisions quickly. AdValue makes it easy for you and your team to work and collaborate using Microsoft Project Online, ensure that best practices are adhered to across all phases of the project, and share information and other project details effortlessly. Asana is simply the best for non-IT teams! The decision is quite simple, if you work in IT/product teams choose JIRA, anywhere else choose Asana and you will be good to go for the next years. Both tools will scale with you. And sneak peak: Asana will be available in multiple languages shortly, I am currently beta testing the German version. I must say that there are much easier tools than Asana. I’ve used Asana for 3 years and I realized I wasn’t using it at all. So I tried forcing myself to use it properly. Maybe there was something wrong on how I use PM software but I couldn’t do it after the second time either. So I turned to to-do lists or task managers to work faster without getting lost. I recommend you to check out Wunderlist and Hitask for that matter.  I use Wunderlist for personal items and Hitask for our non-IT team professionally. Both tools work wonders and I’m glad switching from Asana. Just my POV btw, no affiliation with both services whatsoever. Kendall, and why are you posting the same comment everywhere on all websites where people are trying to compare project management software ??? , I think because you are an Interested person (or you was payed for this gray spam job) to promote the Wunderlist, this behavior is not appreciated at all.